This Voltage Input Phidget provides a way to measure small voltages anywhere in a circuit. 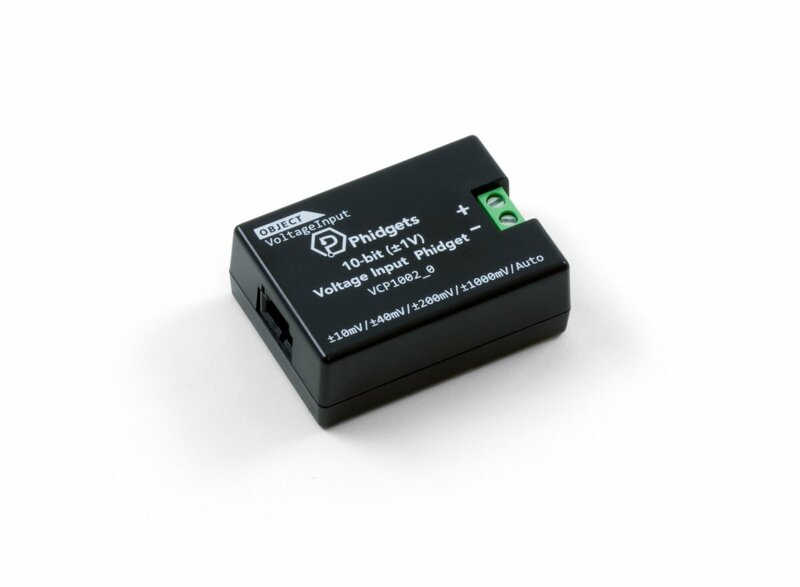 It plugs directly into a VINT port and has a set of selecable voltage ranges from ±1V down to ±10mV, with smaller ranges having higher precision (See the Connection & Compatibility tab for a list of VINT Hubs). 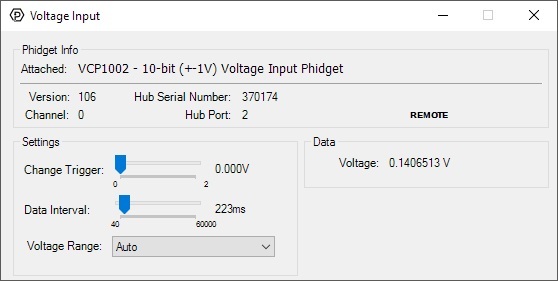 This Phidget also has an automatic mode that continuously adjusts the range based on present voltage measurements, so you'll always have the most accurate measurement possible. 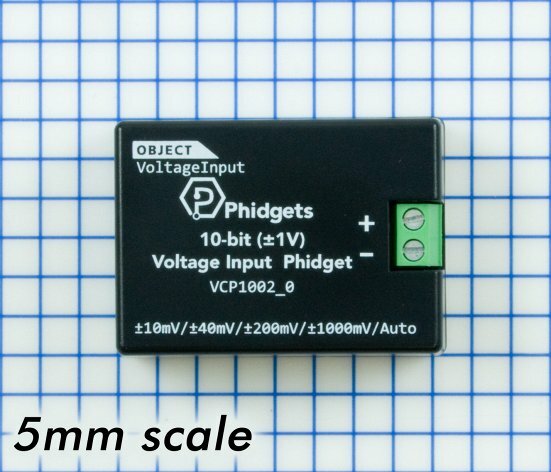 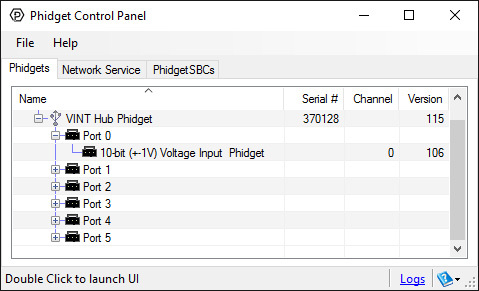 You can use this Phidget to measure current in a pinch: Just place a known resistor in series with the circuit, and measure the voltage drop across it. 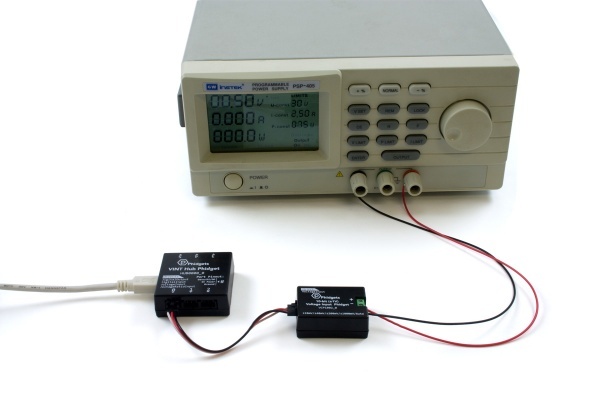 Knowing the voltage and resistance, you can then use Ohm's law to calculate the current.